Netherlands-based architecture and interior design firm Concrete has designed a hotel in Bergen, Norway for travellers seeking a unique accommodation experience. With just an average of 50 hours of sunlight per month in winter, the city of Bergen is starved of daylight for a large chunk of the year. 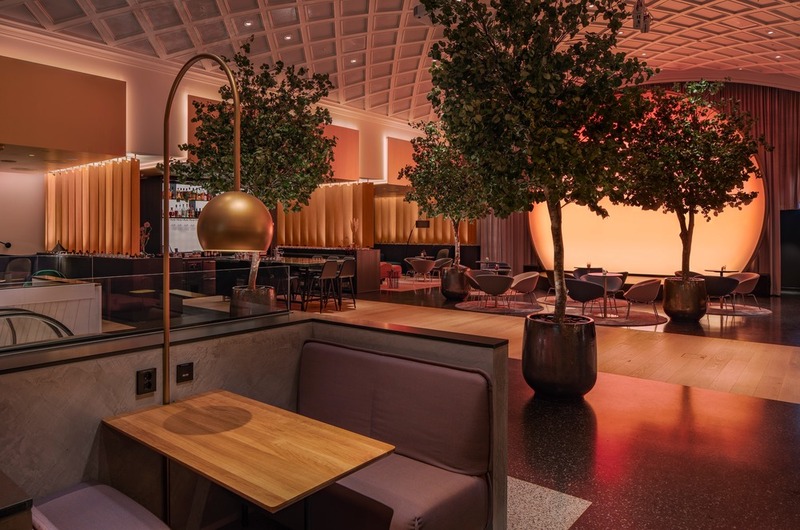 To combat the feeling of seasonal affective disorder for tourists, and provide a respite for locals, Concrete has designed a giant sun in Hotel Norge that changes colour throughout the day. 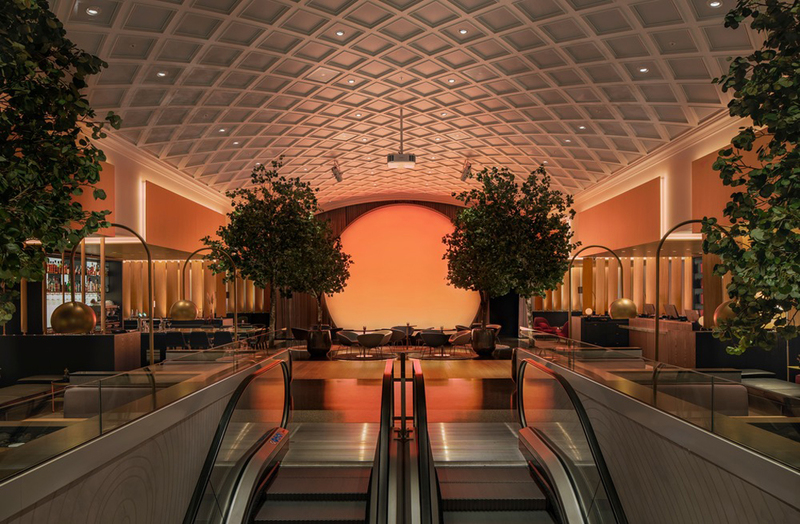 Situated in the lobby, which is accessed via an escalator in the heart of the building, the ‘sun’ also changes colour and mood depending on the season. 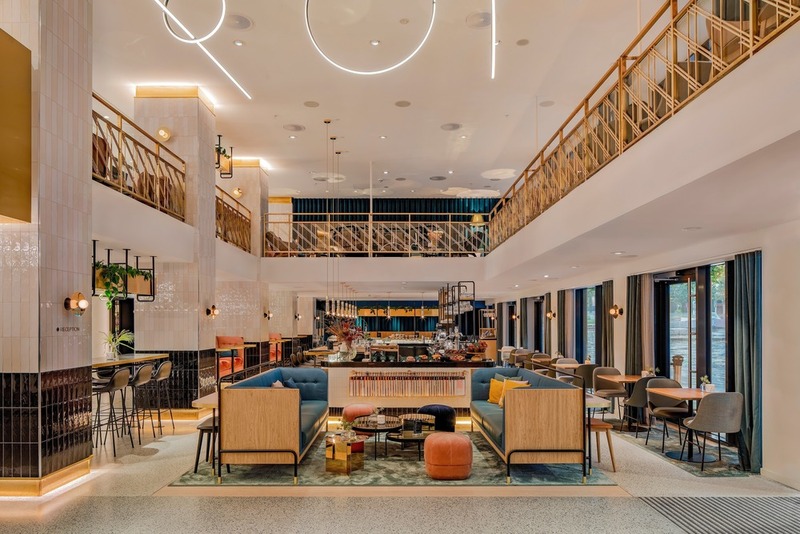 The hotel is a collection of unique curated spaces, with an array of interior styles that capture Bergen, yet add a contemporary twist. 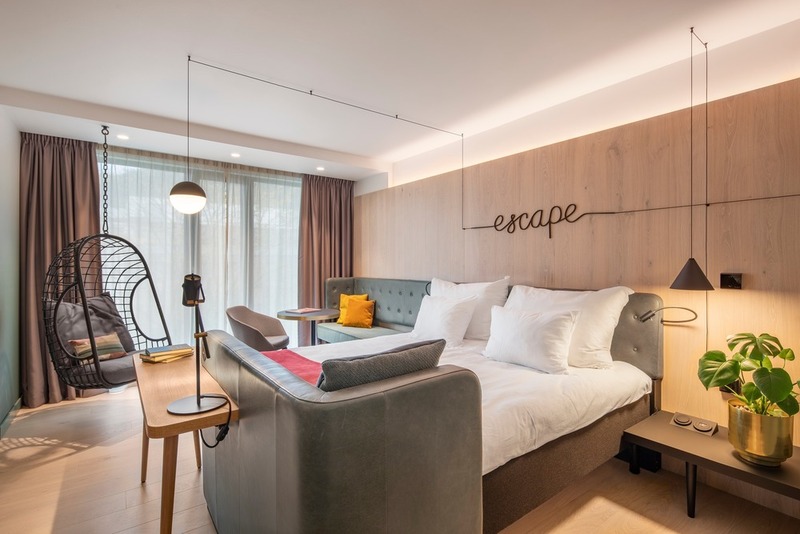 The hotel rooms have a neutral palette with wooden panels and grey walls contrasted with bright pink, blue and yellow bedspreads and furniture. 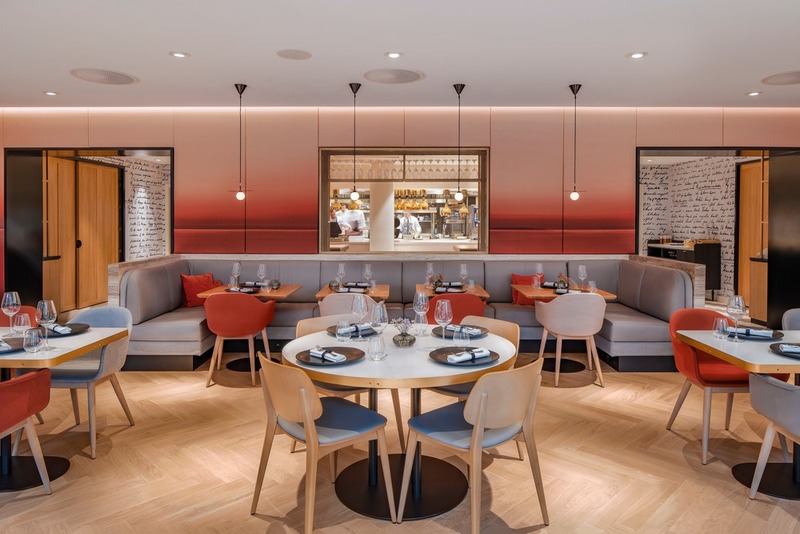 Hotel Norge’s two dining spaces Restaurant Nova and Café Norge offer differing moods. 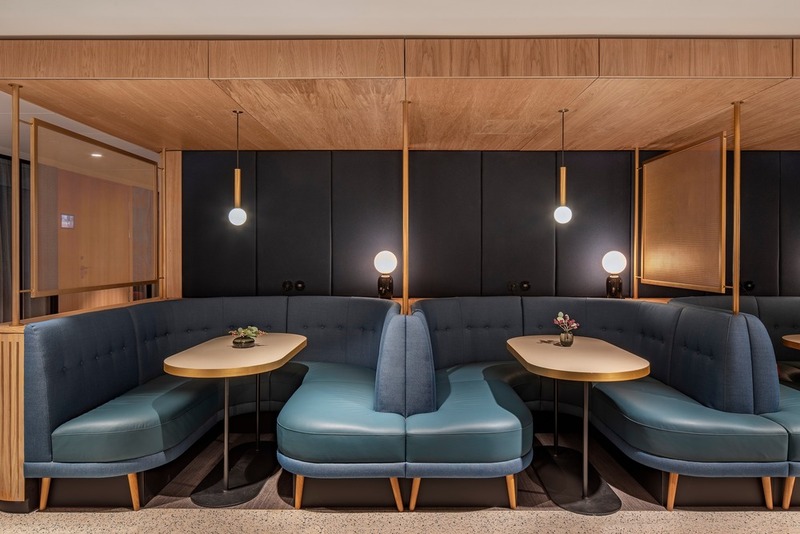 Restaurant Nova features a sequence of rooms that can be connected or separated, each with its own intimate atmosphere. 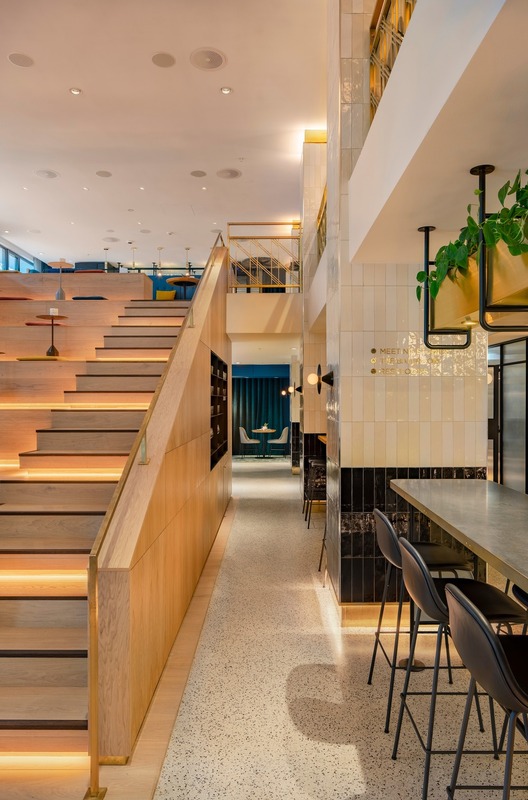 The soft-coloured walls display horizons and changing scenery, while Café Norge features a wooden staircase that connects the two floors. 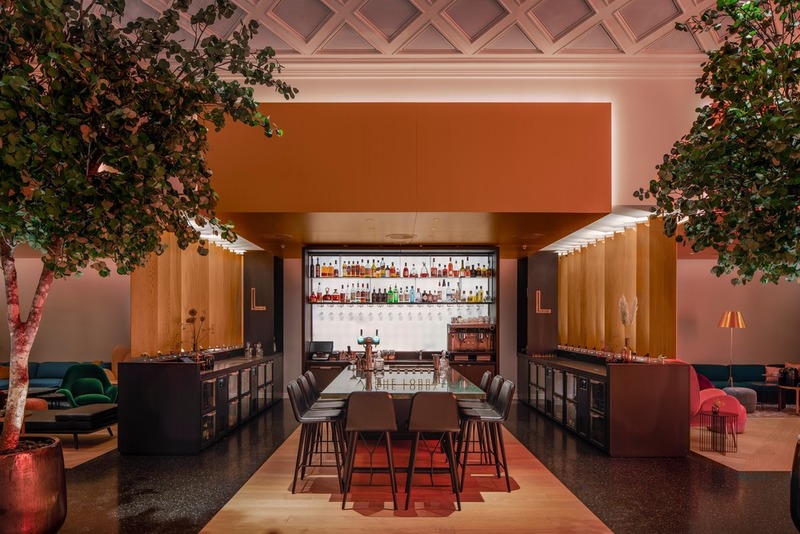 It can be transformed into a stage for lectures and performances, while the central bar serves freshly made breakfast in the morning or cocktails at night. 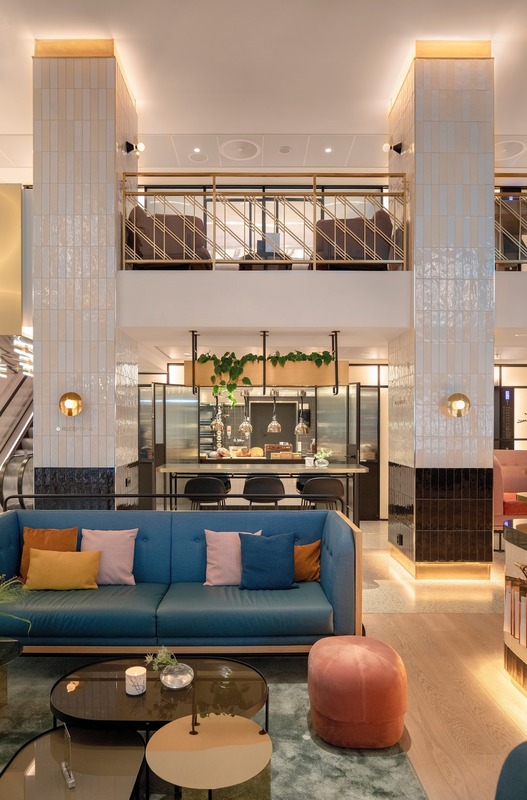 “Staying at Hotel Norge means meeting like-minded people at the bright, urban café Norge and forgetting time because you’re having fun,” explains Rob Wagemans, founder and creative director of Concrete.